Divorces are messy. They separate families by turning parents against each other as they negotiate over their assets and determine child custody rights. Furthermore, children often have to make uneasy decisions and can find themselves pitted against one of their parents while siding with the other. Such actions resemble the British attempt to divorce from the European Union (EU) following the Brexit referendum. Commentators have rushed to consider the political and economic implications of the decision while shying away from potential security and defence effects. 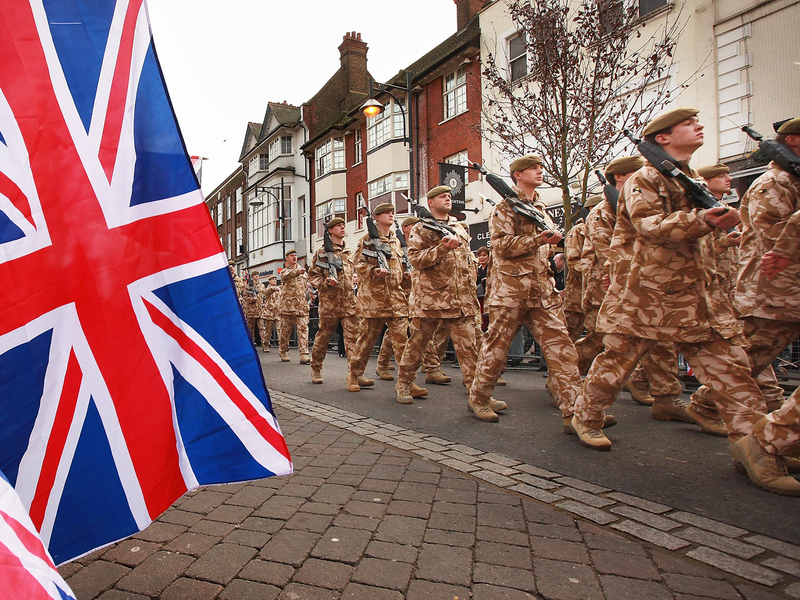 Economic strains imposed by Brexit and the transition-related hurdles stood up by the EU will further challenge Britain’s military status and defence role in Europe and beyond. Internal political quarrels over the nature of the Brexit are in full steam. First, it was the High Court that challenged the pathway to Brexit, then the House of Lords on specific amendments, and now, the devolved government of Scotland led by the Scottish National Party (SNP) has made clear its intention to hold a second independence referendum. While political complexities regarding the nature of the divorce get worked out, Britain’s focus shifts more towards domestic issues. In this regard, its defence objectives and capabilities face tough political and economic challenges. As Brexiteers celebrated, financial markets panicked. The British pound lost 10 per cent of its values against the U.S. dollar, a 31-year-low for the currency and its biggest daily loss in history, as investors weighed over the uncertainties related to the decision to leave the EU. The FTSE 100, London’s Stock Exchange, fell by £120 billion overnight. A report released shortly after the referendum by the Royal United Services Institute (RUSI) pointed the potential negative effects of such an economic downturn on UK’s defence spending powers. The report stated that the cost of procuring military hardware by the Ministry of Defence is estimated to increase by as much as £700 million annually starting in 2018-19. That is the equivalent of 2 percent of the current defence budget. This, according to the report, will force the UK government to reconsider its budget commitments with the likelihood of needing to delay or reduce its planned acquisitions. At the time the report was published, sterling was trading at £1 per $1.30. In the period between June 2016 and March 2017, the pound has declined against its US counterpart, its value ranging between $1.20 per 1£ to $1.27. This illustrates, that the figure provided by the report could even be higher than its initial estimates. On the bright side, Britain boasts a large defence budget, the fifth largest in the world and second only to the US among NATO members. It is one of the few NATO members able to uphold its pledge to spend at least 2 percent of its GDP on defence and it recently recommitted itself to that promise. In addition, Britain’s National Strategy and Strategic Review stated its intent to increase its equipment investment by 1 per cent annually up to 2020-21, while procurement spending is expected to reach £178 billion in the next ten years. In addition, the UK government has committed itself to exempt the defence budget from further government cuts. However, as it is often the case, the devil is in the details. Such estimates will be impacted if the UK economy slips into recession caused by a hard Brexit; further, if the sterling slips against its rivals, the purchasing powers of the UK Ministry of Defence will decline. As the UK triggers Article 50 of the Lisbon Treaty, starting the negotiation to leave the EU, the Sterling’s resolve against other currencies will be tested leaving the affordability of Britain’s acquisition plans in question. Meanwhile, a second referendum in Scotland poses challenges for the political cohesion of the United Kingdom and tests the status of Britain as a global power, and could have negative ramifications for its economy. A Scottish exit from the United Kingdom would diminish the influence of Britain as its size, its population and its market shrink. Even Britain’s core defensive capabilities would be put to test. The Scottish Nationalist Party (SNP) has made clear its intention to free Scotland from stocking nuclear weapons. Considering that the UK’s nuclear deterrents are all located in Scotland, this would significantly challenge the status of Britain as a nuclear power. Besides that, political consequences of an independent Scotland would impact the UK’s shipbuilding industry which is located in Clyde, Scotland. A relocation of such an industry is estimated to cost the UK government £3.5 billion. Markets are wary to huge risks. A second Scottish referendum, and possibly a breakaway of Scotland would have a negative impact on the economy and the sterling currency itself. If Scotland leaves, then the UK would have experienced a breakaway from a market of over 400 million in the EU, to a single market of less than 60 million. Still, even if Scoxit does not materialise, Brexit is likely to have a profound effect on Britain’s global outlook. Even if the UK does not change its defensive commitments in the future, leaving the EU could diminish UK’s status. There’s already speculation that France could take over its position as the Deputy Supreme Allied Commander in NATO. As negotiations progress, the effects will become clear while sterling and the UK economy will be severely tested. The UK defence budget will surely be impacted, the question is how much and to what extent. Alfonc Rakaj is a student in the War Studies Program and is a Chevening Scholar pursuing an MA in International Relations at King’s College London.